In telecommunications systems, it is often necessary to detect the presence of a voice-band modem signal. ADT Caller-ID is available on the above Platforms: Other configurations are available upon request. Adaptive Digital’s Caller ID software generates and detects the Calling Number Delivery signal specified in Telcordia (Bellcore) GR-30-CORE and ETSI ETS 300 778 standards. The transmitter can be configured to operate in either type 1 mode (signal transmitted between ring bursts) or type 2 (signal generated in absence of ring bursts). Caller ID enables a person receiving an incoming call to identify the calling party before answering the call. The information is usually displayed on a customer premise device that is inserted between the central office and the telephone. The Caller’s information can be sent when the receiving phone is on-hook or off-hook. In the case of off-hook transmission, the Caller ID device may block the transmitted modem signal from passing through to the telephone. On-hook Caller ID is referred to as “type 1”, which is specified in the ETSI ES 200 778-1. 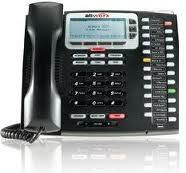 While off-hook Caller ID is known as “type 2”, which is specified in the ETSI ES 200 778-2. The ADT transmit Caller ID software supports two options for formatting the data link layer of a transmit CID burst, Full Format and Partial Format.